1. 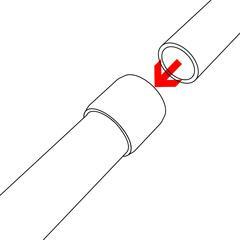 Insert the end of a PVC pipe inside the a socket on one side of the External Coupling. 2. 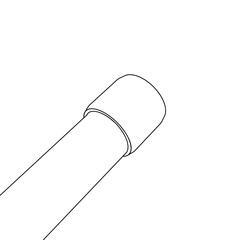 Push or tap into place until the pipe hits the end of the detent inside of the coupling. 3. 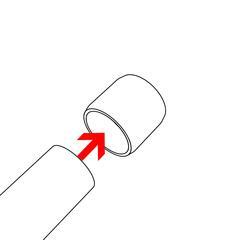 On the opposing side of the External Coupling insert a second segment of PVC pipe. 4. Push or tap into place until the pipe hits the stop inside of the coupling and check for stability. 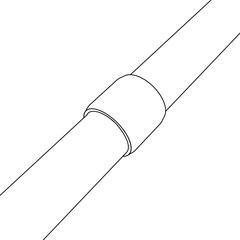 While friction alone should keep the pipe and coupling connected, use PVC cement for a completely secure connection.